Collett Park awarded a Green Flag! Shepton Mallet Town Council, its partners and the local community are celebrating this week, during ‘Love Parks’ week, as Collett Park has been awarded a Green Flag, crowning it as one of the best green spaces in the UK. 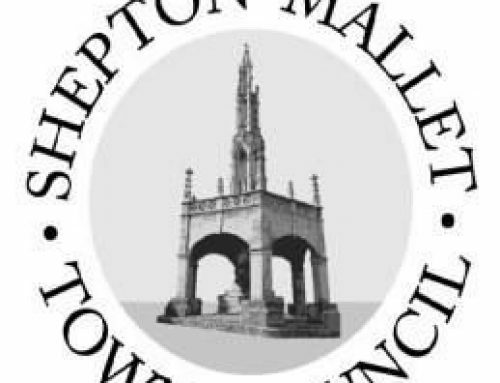 The Park was gifted to the town of Shepton Mallet by John Kyte Collett in 1906, and every year a festival is held in the Park to celebrate the giving of this wonderful gift. Collett Park is the only park in the Mendip district to be awarded a Green Flag. The Collett Park Charity is working towards setting up a volunteer group, the Friends of Collett Park, and is looking for more green fingered volunteers to join and continue to make Collett Park an award winning green space for the town and its residents. Green Flags are awarded to the very best parks and green spaces in the UK. In its 22nd year, the Green Flag scheme has awarded a record-breaking 1,883 Green Flags to hidden gems and national favourites, celebrating the world’s best green spaces. As well as traditional parks, some more surprising green have achieved the awards this year, including university campuses, shopping centres, the Thames Barrier Park, War Memorials and burial sites. Love Parks week, is run by Keep Britain Tidy and this year’s theme is ‘It started in a park’ celebrating all those fantastic firsts that are made possible thanks to our wonderful parks. The campaign is encouraging everyone to get out and enjoy their favourite park. Love Parks week runs until July 22. To find out more about the Green Flag award visit; www.greenflagaward.org.uk you can search the site for your nearest award-winning green space. To find out more about Collett Park or how to volunteer as part of the Collett Park friends group, contact Shepton Mallet Town Council on 01749 343984.